The best way to gain gold, cards, and dust in the game is by playing Arena mode. On the first few runs, you will feel that you are losing most of the matches. This is you are new to deck drafting and playing. If you look at it, in arena all players are given same opportunity. In addition, if you are new to game still you are given the chance to play with legendary and epic cards that you do not own. Therefore, this is a fair chance for all and you will get better at it with time. One arena run costs you 150 gold, and you always get a single card pack as a reward, even if you lose three games and only win one. This means that each arena run only really costs you 50 gold. If you win 3-4 games, you will likely receive over 50 gold, making the run profitable. If you win 7 times, you’ll likely receive 150 gold, allowing you to keep playing arena over and over again. If you do better than that, you will get additional prizes. A 12-win arena run will likely net you over 300 gold, perhaps a bonus card pack, and additional cards. You may also receive bonus dust or cards at all ranks. Hearthstone allows you to “disenchant” cards into arcane dust. You can disenchant cards you have extras of (more than 2) and cards you do not plan on using. The catch here is that cards normally only disenchant for a small portion of their value. Tip: When there is a change to a card, you can disenchant these cards for full value. 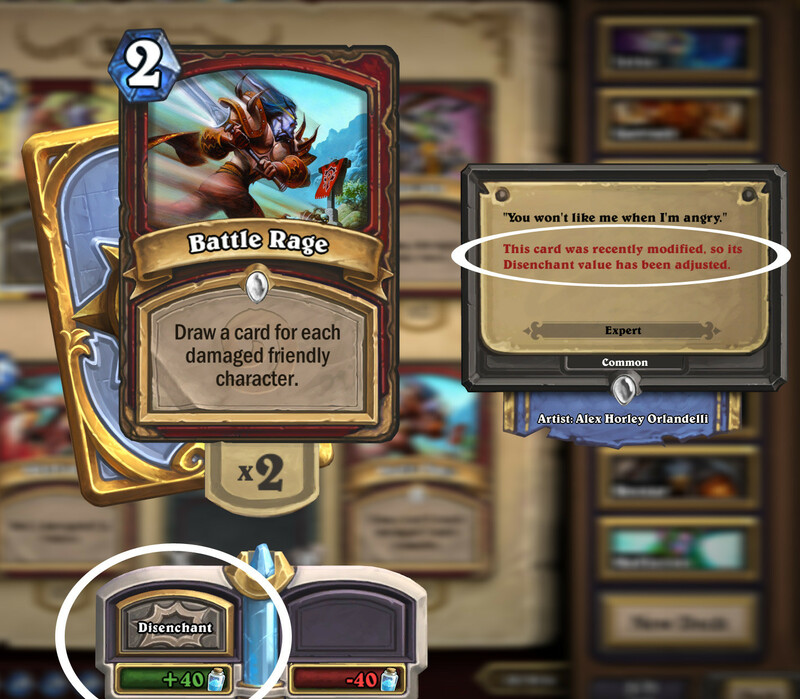 If someone had a golden legendary card and held on to it until Blizzard nerfed it, they could have gained 3200 dust from disenchanting it. 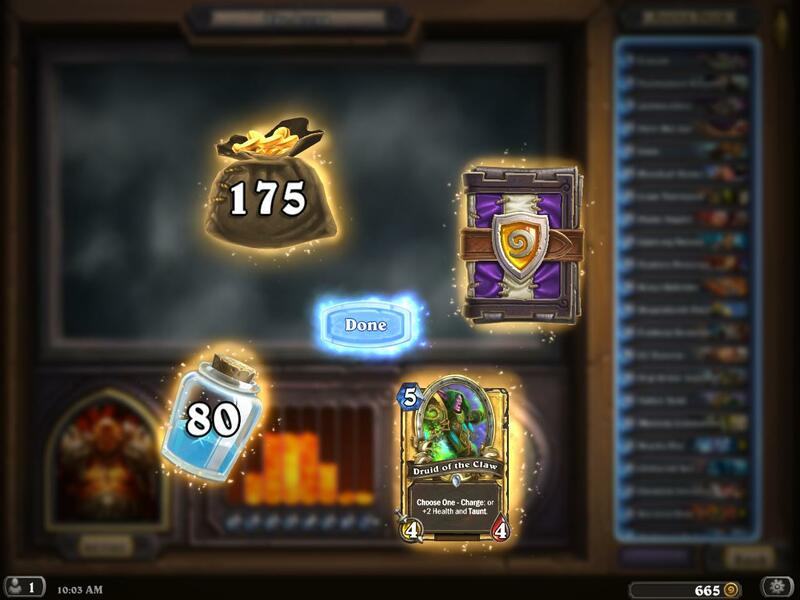 Had they disenchanted it earlier, they would only have gotten 1600 dust. Therefore, read the patch notes and wait for it.